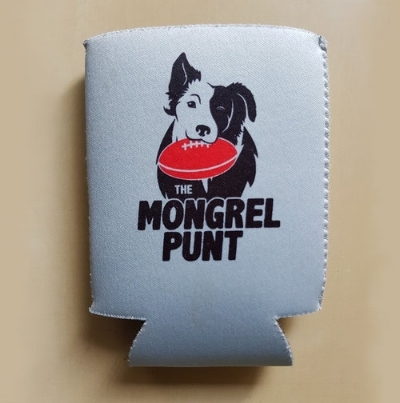 The Good, Bad and Ugly - Sydney v Carlton — The Mongrel Punt Become a Patron! It was a fight. And a tough one. Seemingly in control for most of the second half, the Swans found themselves challenged in the final quarter, but responded through their young star, Isaac Heeney to steady the ship and walk away with their first win of the year. With genuine highlight match-ups in Kennedy v Cripps and Liam Jones v Franklin, the game itself was great as a neutral spectator, with plenty to take away. I was dying to use that title… I would’ve even if Cripps had a shocker. It turns out he didn’t but it was one of the best “Bloods” that was better. It’s time to pay homage to Josh Kennedy. I’ve been ready to write Kennedy’s eulogy for a while now. He looked like he struggled quite a bit last season, and was going up and down on the spot at times. But after an off-season to rest up, Kennedy has returned and picked up right where he left off, notching 31 touches, seven clearances, eight tackles and seven inside 50 deliveries. It was a vintage Kennedy performance, made all the more impressive by the head-to-head clash he had with Patrick Cripps in the first half. Taking on the responsibility, Kennedy went to Cripps at stoppages and worked his backside off to limit the effectiveness of the Carlton captain. It was the kind of performance the Swans needed from their leader. He was strong enough to compete with Cripps at the coalface, and won plenty of his own ball in the process. 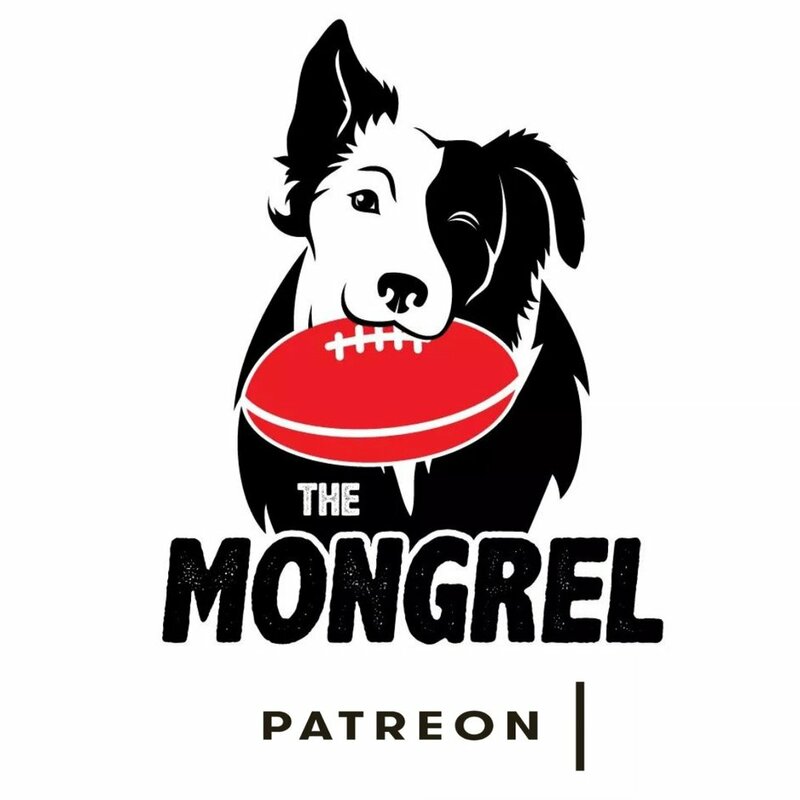 I guess who won is a matter of opinion, but if you’re asking me (Hey Mongrel… which player won?) I’m going with Kennedy. Let’s marry up their stats and see if I can back that up. They both sent the ball inside 50 on seven occasions, and were level in both tackles (8) and goals (1). Cripps had the edge in score involvements (9-5), as took more marks (5-3) yet I still feel as though Kennedy came into the game with a mission and executed it well. Cripps’ two previous encounters netted disposal totals of 32 in each outing. The fact Kennedy was able to have Cripps -4 in disposals, whilst being +2 himself is enough to convince me. But I guess I am open to being told I’m incorrect. I was saddened to see Sinclair go off in the last quarter with a nasty cut under his eye. He was on target to break his career-high of 45 hit-outs in this one, but that ten minutes off the ground cost him the chance. He finished with 40. He must have been licking his lips at the prospect of taking on Matthew Lobbe, who despite being a high draft pick all the way back in 2007 (pick 16) has become just a third string ruckman. Lobbe is more or less useless once the ball hits the deck, and Sinclair got on his bike to not only collect 16 disposals, but also kick a goal and dish one off as well. He also had five clearances himself, which set the Swans running on multiple occasions. Sinclair, and Sam Naismith when he gets back, will be pivotal as to whether the Swans can be in finals contention again this season. As much as people focus on Heeney, and Buddy and Kennedy, Sinclair is one of Sydney’s most important components, and he more than earned his keep today. There’s a separate section for how the Swans were able to work out a system in the middle to combat their failure in the first two rounds, but individually, Zak Jones had the best game I’ve seen him play. Working mostly in the guts, and dropping back into defence, Jones was instrumental in aiding Kennedy in the Swans’ engine room, collecting 31 touches and adding seven clearances. He drove Sydney inside 50 on six occasions and bobbed up repeatedly when the heat was on in the last quarter, his clean hands under pressure the difference between a clean chain of possessions and a potential turnover. Jones’ willingness to take contact and draw an opponent to him, creating space for teammates in the process was valuable today, and his quick acceleration at stoppages made him very dangerous. Whilst not the Carey-Jakovich of the competition at the moment, these two engaged in a ripping battle in the Swans’ forward line. Franklin finished with two goals, indicating that Jones more than did his job, but Buddy could’ve had three, and did end up with nine score involvements with his 12 touches, so when he did get a touch, he made things happen. Jones really lifted in the second half, getting his hands on the ball at points where I thought Buddy was going to eat it up. Additional points go to him for not collecting any of his teammates. Just how effective Jones was on Franklin in one-on-one contests was evident in the dying seconds, as Franklin, extremely frustrated with the attention he’d been receiving from Jones, grabbed him and locked him in a WWE-style hip toss as they ran back toward the Swans goal. As Franklin complained, Jones smiled. And I reckon he smiled because he knew he took the points today. Look, I know the bloke can’t kick – hopefully he can work on that, but I’ve always found that blokes either know how to take a contested mark, or they don’t. It’s not something you learn once you’re in the game- you just know how to do it. Harry McKay knows how to do it. He clunked six big contested marks today to be far and away the biggest aerial threat on the ground. If the mids knew how to kick it to his advantage a little more often, we may have seen him with quite a few more. Somehow, the AFL app is telling me that he had 11 contested touches, despite listing him as having ten disposals… that’s pretty impressive, but it does tell me that he went at 40% efficiency. That’s probably not what you want from a guy getting his touches inside forward 50. So the Blues saw the future (yet again) today. But what do they do with it? They have a problem most clubs would like to have (problem is, they have plenty of other problems as well). They have McKay who is now leading the competition in contested marks, and they have this bloke named Charlie Curnow, who everyone thinks is going to be something special – which one do you play closer to goal? Curnow is supposed to have the tank to run all day – I doubt we’ll see McKay winning any beep tests at Princes Park. The solution seems simple, doesn’t it? Curnow as the long-leading forward, with McKay dropping back, trying to manufacture a one-on-one contest. I guess the issue is patience. Carlton fans are sick to death of being patient, and I can’t say I blame them. They’re constantly being asked to be patient as the kids develop. They don’t want to be patient as the Blues work out the Curnow-McKay combination. They want it to work now! If they can get these blokes to work in unison this season, there’ll be some exciting games this season, and if they get support from some smalls, maybe a few wins, too. The Swans have looked SLOOOOW through the midfield in the last two weeks, and Horse Longmire resisted the urge to throw Heeney into the guts (and wasn’t that a wise move!). Instead, the Sydney coach unleashed both Zak Jones, and in the second half, Tom Papley into the middle. Papley looked classy and elusive in his time in the middle, collecting 19 touches for the game and using the pill at 84%. He had 10 score involvements (second only to Heeney), and three direct goal assists (game-high). With both Papley and Jones being given space by the inexperienced, and at times fumbly Blues mids, they were able to spread and create havoc on the wings and into the half forward line. Papley in particular, was able to create scoring chances off his own boot as Jones did more of a clean-up job down through the wing and into the half back line. So, if this the answer to what ailed them in the first two weeks or an anomaly? Playing the Blues (how many wins in the last couple of years?) must be taken into account. Against both Adelaide and the Western Bulldogs, the Swans mids were shown up by more mature, hard running bodies. They weren’t given licence to do as they pleased as they were against Walsh, Fisher and Dow. Next week will be the test, as they come up against a hardened Melbourne midfield desperate to make good on the promise they showed last year. It’d just be like Sydney to smash them. I’m looking forward to it. He’s got that sort of name that rolls off a commentator’s tongue, huh? A name not out of place in a school yard as kids fly for a screamer. But there’s more to him than high marks. He is a classy player in body-to-body contests, and at ground level. At one point I heard one of the talking heads (not David Byrne) state that his opponent, Lachie Plowman was no slouch. Yes he is – compared to Heeney, he is an absolute battler. Playing in the forward line for 90% of the day, Heeney had his way, collecting 26 disposals, 11 score involvements, three contested marks (don’t under-sell this in light of McKay’s efforts) and added four clearances to his four goals as well. For someone spending his time camped in the forward 50, it was a brilliant four quarter effort. Heeney has superstar written all over him, and if he can stay injury-free, will go a long way to establishing himself as not just a future star, but a current star of the competition. He’s 22 years old… far out. Dispute this if you like – I know what I saw. In the first quarter, Ed Curnow went to Jake Lloyd and proceeded to expose his loose checking by slotting two goals. Instead of allowing Lloyd to revert to playing a purely defensive role in order to shut Curnow down, Longmire shuffled the deck to free Lloyd up to play his more attacking football. It was a good counter by Longmire, as losing the run and carry of Lloyd (who just knocks up getting by himself) would be disastrous for Sydney. Instead of panicking, and sending the runner out to Lloyd to blast him for not manning-up, Longmire moved Lloyd a little further away from goal to allow him to get his hands on it, on his terms. The result? A classic Jake Lloyd game, where he racked up 32 touches, rebounded out of 50 eight times, and went at a brilliant 88% efficiency. So, with all that happening, what options did Brendon Bolton have to reduce Lloyd’s effectiveness? I would like to have seen either of Cam Polson or Michael Gibbons go over and stand next to Lloyd. They weren’t getting any of the ball themselves – why not try stopping the most prolific ball-winner on the ground, or at least get that efficiency down a little bit? Maybe Will Setterfield could’ve had a crack – he wasn’t doing much of anything. With McVeigh hurty in the last quarter, a quiet Lloyd would’ve meant shifting the responsibility of spotting up a teammate to a less-skilled player. Alas, Bolton opted not to make that move. You know what I wouldn’t have done? Nothing! But that’s what Bolton did. His first plan was foiled, and then what did he have up his sleeve? His arm? That’s about it. I liked the initial move. I liked Longmire’s adjustment. I did not like Bolton’s inability to adapt after that… but I did like Jake Lloyd doing what Jake Lloyd does despite the early hiccup. That’s a good player, right there. Whilst many will focus on the exploits of Sam Walsh, the inability of second year star, Paddy Dow to find his place in this game is concerning. Dow looked hesitant and uncertain whenever the ball found him in the first half, and either double-grabbed at it, or completely wasted it when he did get hold of it. I thought, with Walsh coming on board and capturing the attention (and imagination) of Carlton fans, we’d see Dow emerge as the midfielder that Carlton needs. He still might, but it wasn’t on display today. He finished with 14 touches, but his first half was a nightmare. Ben Ronke is struggling in his second year as well. He burst onto the scene in 2018 with a seven goal bag against the Hawks, but has started 2019 like a young fella uncertain of his place in the team. He had nine touches today, with just four of them effective. When a small forward has a quiet day at the office, you expect them to have input in other ways, but Ronke was as quiet defensively as he was offensively, finishing with just one tackle for the game. But wait, there’s more. Lachie O’Brien matched Ronke’s first half output of just two touches, looking all at sea. He finished with 11 touches and went some way to redeeming himself, but the same can’t be said for the next bloke. Though technically a third year player (he had one game in 2017), Cameron Polson absolutely stunk it up. With just two effective touches for the game, Polson played the game of a slightly mobile witch’s hat. If you’re a Carlton fan, you might want to hang your hat on the 18 pressure acts he had, but if all you do is pressure, and your fellow small forwards aren’t getting a touch either, you’re not doing much good. And I reckon that’s the last we’ll see of Michael Gibbons for a while, too. He was nowhere near it today. Four touches for him meant that between him, Polson and O’Brien, the Blues simply could not find a small man to capitalise on the good aerial contesting of Harry McKay. If not for Ed Curnow, this could’ve been messy. Settle down Carlton fans – I know he went off injured. Looked comfortable on the bench with hamstring tightness, but for mine, he has not looked right all pre-season, and all season so far. Prior to heading to the bench, he had five touches and three marks. He did kick an amazing goal over his head (maybe he overstretched the old hammy then?) but he’s not looking like a great investment just yet. With Curnow out of the team, Gov was probably the number one option up forward going into this game. In the grand scheme of things, and looking at today’s game in context, I reckon he’s now the third option on that team, which is probably about right. People have talked up Steven May not being in shape, and even though McGovern was hampered by a back injury in the pre-season, he looks pretty far removed from being right. As he sat on the bench next to one of the other Blues, the difference in their bodies was painfully apparent. One had put the hours in. The other had not. I’m sure this will come back to bite me, but third forward is about the ceiling for McGovern, in my book. And that’s a shame, because I reckon he could be so much more. Before I forget, did the way Nick Blakey ran on the wing toward half forward, with his shoulders hunched as he sent the ball inside 50 remind anyone else of the way Wayne Carey used to waddle around with the ball in hand? Quick shout out to the umpires.. After last night’s… errr… display, they were pretty good today. None of those horrible ticky-touch free kicks for pushing, no stupid double 50 metre penalties, and no panicking when two players happened to make contact in a contest. I actually think they umpired the game in a way I liked. That said, Franklin almost had his head kicked off by his former teammate. Maybe they thought they were still on the same team when play on was called? I liked the game of Ed Curnow playing a little deeper than he has in the last couple of weeks. His four goals indicate he may have enjoyed himself as well. He works hard, and draws the footy, but unlike every other smaller forward they had, he wasn’t a one-and-done player in terms of effort. You look at those early misses from the Blues and wonder what could’ve been. They were probably the better team in the first quarter, even though they gave up six goals. They kicked five goals, themselves, but those early misses to Dow and McKay were so costly. Tom McCartin in defence? I like it! Rampe really had his hands full in the air with McKay, but his work at ground level was excellent again. His 20 touches, and some of that run out of defence really set the Swans off in the second half. Seeing Jarrad McVeigh go down in the last quarter was concerning. He was having a belter, and was on target for 600+ metres gained when hurt himself in an innocuous incident. Hope it’s not serious. Harry Cunningham is probably one of the most underrated link man in the game. He doesn’t miss many targets, and has a bit of poise when he gets it. I didn’t think George Hewett was at his denying-best today. Once he switched with Josh Kennedy in the first quarter, I reckon Cripps picked up a few disposals and clearances on him that he wasn’t getting against Kennedy. I was almost relieved to see Kennedy go back to Cripps after a few minutes. Another “almost” game from Sam Reid. Far out this guy threatens a lot. He gets his hands to so many opportunities, but just seems to have this knack of spilling the ball when marking it seems the likely outcome. Unassuming 28 touches for Cal Mills off half back. Between him, Lloyd and McVeigh, geez there’s some class in that backline. 59% disposal for Marc Murphy… not good enough. Sam Walsh wasted it a bit too, but he hasn’t had 252 games to get his disposal right just yet. Walsh gets a pass mark. Murphy… does not. I already know the answer to this… Carlton fans; how tired are you of honourable losses? And that’ll do me. My daughter needs to eat, and is also demanding that I dance with her. A Dad’s gotta do what a dad’s gotta do. Nice win in the end by the Swans. Not entirely convincing, but a win’s a win, particularly when it’s your first for the year. Older PostTime For Brad Scott To Deliver - Or Else!